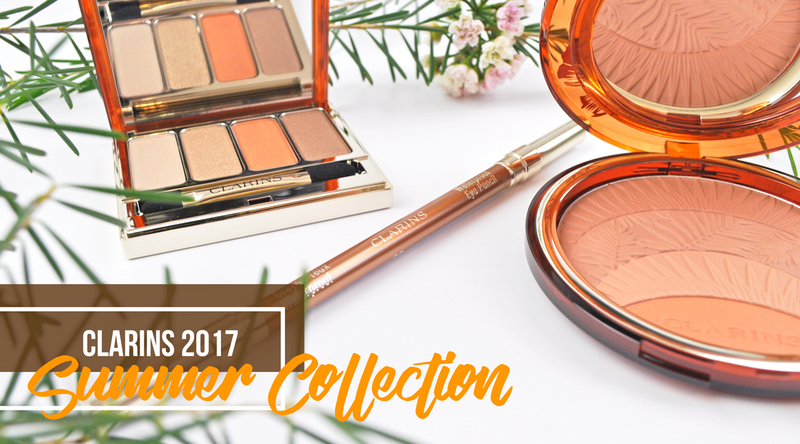 Whether you want to create a dazzling look inspired by the latest trends or go classic with a warm subtle glow, Clarins has you covered with their 2017 Summer Limited Edition Collection. This assortment is glamorous, luxurious, highly pigmented and blends to perfection! I have been obsessing over these products this summer and I know I’ll be keeping up that perky glow all-year-round. This gorgeous versatile compact has the wow factor! From the luxe packaging and tropical leaf embossing to the beautiful pigments and velvety matte formulations. I am in awe with how lovely and luminous it looks and feels on my skin. The bronze toned trio and apricot blush brighten my complexion giving it a healthy looking natural glow. The 3 bronze colours come in light, medium and medium/dark, I have been lightly applying it to the areas of my face where the sun would naturally hit (blended in and along the hairline, into the hollows of my cheeks then across the jawline). Glow to Go – Clarins’ Tropical Splendor Compact creates an even, luminous, natural-looking tan—from sunkissed to très bronzé. A trio of fresh matte sun shades—plus a pop of radiant apricot—sculpts, contours and defines any skin tone. This sleek quad palette is the hottest product in my beauty collection this summer! The ultra-pure pigments made from 100% minerals and plants provide smooth long wearing, buildable intense coverage with minimal fallout. Featuring a set of beige, golden, orange pop and brown shades in matte, satin and pearlized textures that work harmoniously together. Paradise in a palette – Four sultry shadows — formulated with 100% mineral and pure plant pigments — line, contour and define with the très soleil new shades of summer. I have been jazzing up all my looks during the party season with this dazzling dual ended eyeliner. Infused with Jojoba to nourish the delicate eye area, their long lasting creamy formula glides easily along the lash line and waterline. The smudge-tip applicator at the end of the pencil is great for easy blending and smoking out your lines. These vivid high-impact waterproof pencils come in the shades gold and copper. Winning Waterproof formula – A supple and incredibly soft waterproof pencil that delivers intense, precise lines with rich colour and long-lasting results. Formulated to provide intense color and hold for dramatic eyes. Wear alone or to accent your favorite eyeshadow. Wear in the heat, in the pool, at the beach – it can take it. What do you think of Clarins Summer 2017 Limited Edition Collection? Let me know in the comments below! 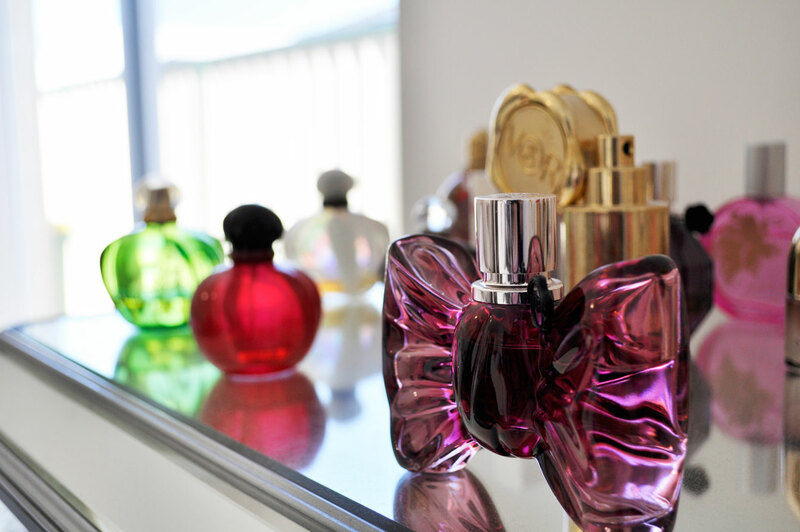 What a stunning collection! I really want to try the bronzer/blush compact – so pretty! It is so beautiful Marisa, I love it! So strange to think about Summer makeup but it makes sense for you! Ooh these look gorgeous! I need that bronzer in my life ASAP! You will love it Ebony. The bronzer looks really beautiful. This is so beautiful collection from Clarins, all the products look amazing. The blush and compact is something I am really interested in checking out, love the embossing on it.